Consequently, the symbol is, and has been, used to motivate great warriors, tribes and nations (including the USA). 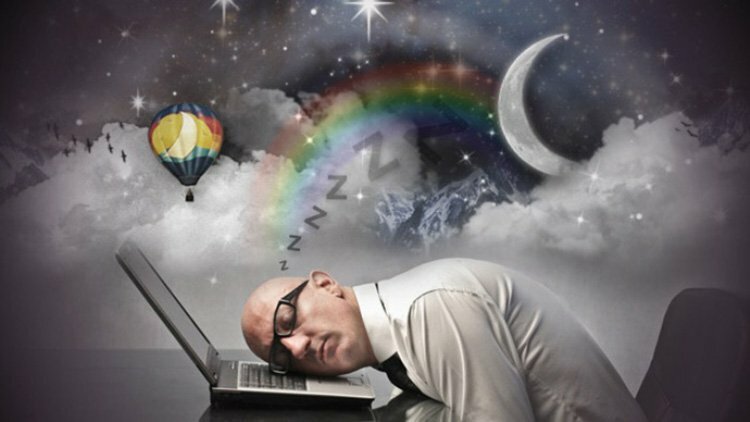 In a dream image, we may be expressing a need to fly above our temptations and worldly aspirations, to enter instead, into the transfiguration of being. 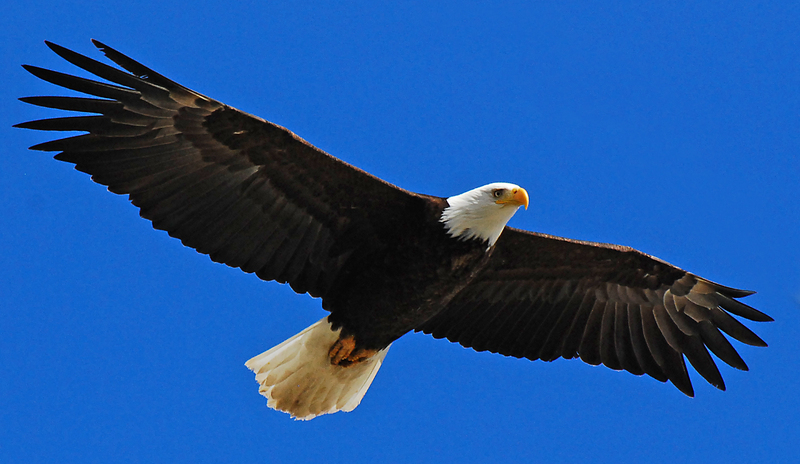 To this end, we need to observe the eagle and the path of its eternal and effortless flight. The flight of the eagle is the flight into paradise. 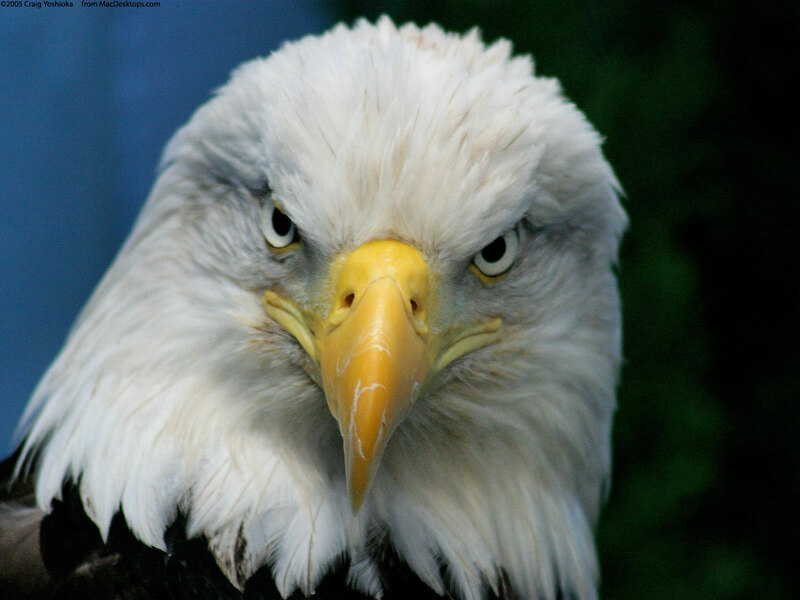 In ancient times, eagles were released when very famous men died (ex. Augustus Ceaser.) This represented their entry into heaven and immortality. King of the birds, deputy or messenger of the highest heavenly godhead and of the fire of Heaven, the Sun, at which it alone dares stare without burning its eyes. 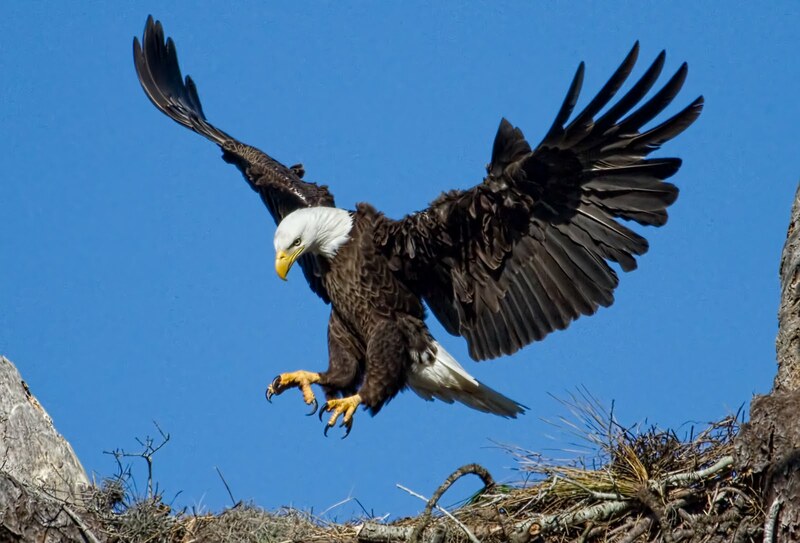 The eagle, too, is the primitive and collective symbol of the father and of all father-figures. However, the universal distribution of the image takes nothing from the wealth and complexity of the symbol which it expresses. This article endeavours to develop these qualities by juxtaposing examples drawn from different sources. The eagle staring at the Sun is once again the symbol of the direct perception of mental enlightenment. ‘Fearlessly the eagle looks the sun in the face,’ wrote Angelus Silesius, ‘as you can stare at eternal brightness if your heart is pure.’ The eagle is thus a symbol of contemplation, which is why it became an attribute of St John the Evangelist. 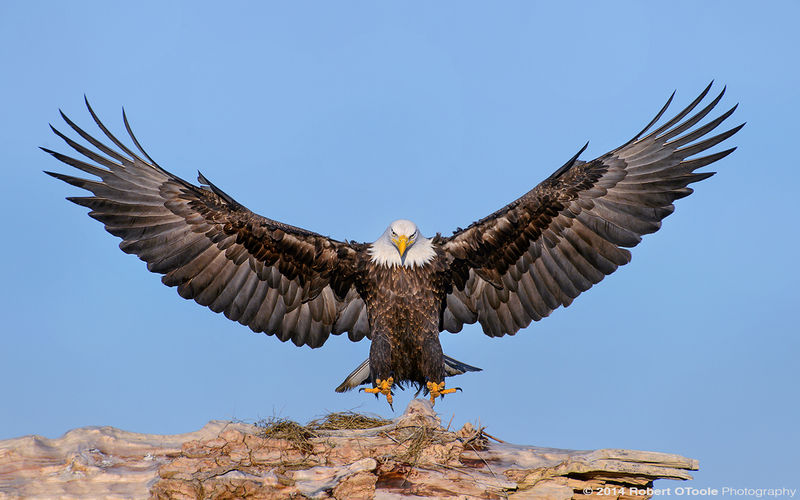 In some medieval works of art the eagle is identified with Christ, expressing thereby his Ascension and his kingship. This latter interpretation is to transpose the symbol of Imperial Rome, which was also to be that of the Holy Roman Empire. In Arctic and northern Asiatic mythology the eagle is a substitute for the Sun. The same is true in American Indian mythology and conspicuously among the Plains Indians. Hence it is easy to understand why an eagle’s feather and a pipe made of an eagle’s bone were indispensable adjuncts for whoever underwent the ordeal of the Sun Dance. In Japan and among the Aztecs there was similar identification. In Japan, the kami's messenger or supporter was an eagle known as ‘the Eagle of the Sun’. When they depicted the universe, the Zuni Indians set an eagle and a Sun at the fifth cardinal point, the zenith, the sixth point being the nadir and the seventh the centre, man’s place. By setting the eagle upon the World axis, their beliefs coincided with those of the Ancient Greeks. By taking its place with the supreme sky-god, the eagle stood in the Indian pantheon as it stood beside Zeus, lord of lightning and the thunderbolt. Its outspread wings, Alexander observes, suggest jagged flashes of lightning as well as the shape of the cross. In these two images - eagle-as-lightning and eagle-as-cross - Alexander sees the symbols of two civilizations, that of hunters and that of farmers. He also maintains that the eagle sky-god, a manifestation of the thunder-bird, was originally the main emblem of the civilizations of nomadic hunters, warriors and conquerors, just as the Mexican leafy cross, stylized shoots of dicotyledonous maize, was the main emblem of agrarian civilizations. At the very beginning of Indian culture the former embodied the north (cold and male polarity), while the latter characterized the south (red, moist, heat and female polarity). Nor should it be forgotten, in this context and in relation to what has gone before, that north and zenith, south and nadir are akin as above and before, behind and below. However, with the passage of time the two civilizations united and the two symbols which had originally been antagonistic were superimposed, the one on the other, and fused together. ‘It is odd that the simple cruciform of the Roman pattern became eventually, even for the red men of the Plains, the symbol for the spread-winged hawk or eagle as well as for the dicotyledon of the maize plant, earth-emergent - and this natively and without any influence from Europe’. Generally speaking, the thunder-bird - Ashur’s and Zeus’ eagle - as time passes and civilizations mingle also becomes Lord of Fertility and the Earth, symbolized by the Cross (ibid.). One might venture to suggest that, in the marriage of these two cultural stages, the powers of sky and Underworld come into equilibrium. A study of feudal iconography would tend to support this hypothesis by the frequent association of eagle and lion, whether in conjunction or in opposition. This is reminiscent of the Aztecs, whose two great warrior guilds were those of the Eagle and the jaguar. Again, the Aztecs believed that the Eagle of the Sun fed on the hearts of warriors offered in sacrifice. The symbolic association of eagle and jaguar recurs in the description of the Aztec emperor’s ceremonial throne. Its seat was of eagle’s feathers, its back of jaguar’s skin. Many other instances might be given of the association of eagle and jaguar in both North and South America. Another manifestation of the duality Heaven-Earth is seen in the opposition of eagle —serpent mentioned in the Vedas, with the mythical bird, the garuda, which was originally an eagle. A solar bird, ‘blazing like fire’, it was Vishnu’s steed and his nature, too, was solar. The Garuda was nagari, ‘foe of serpents’, or nagantaka, ‘destroyer of serpents’. The duality, eagle-serpent, signifies universally that of Heaven and Earth, or the struggle of angel with demon. In Cambodia the Garuda is the emblem of the kings of the solar line, the naoa that of the sovereigns of the lunar line. Finally, the Garuda is the symbol of strength, courage and penetration, as is the eagle, by reason of the sharpness of its sight. Endowed with these powers of Sun and sky, which it manifests in the strength of its wings, the eagle quite naturally became a tutelary bird, an initiator and psychopomp which guided the shaman’s soul across invisible space. 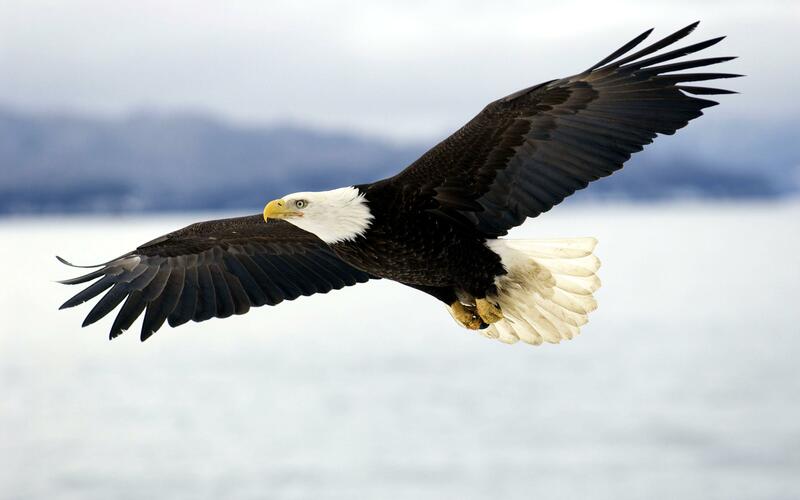 American and Asian tradition constantly and mutually reinforce and corroborate this factor, be it only in the identical use of eagles’ feathers in shamanistic practices on both continents. Thus in North America the Pavitso place upon the head of a sick person a stick with an eagle’s feather in the end, obtained from a shaman, in the belief that the disease will be carried away like the shaman, borne aloft by the eagle in spirit-flight. In the same cultural context there is the fundamental belief that an eagle perches on the topmost branch of the Cosmic tree to watch and cure all the ailments in its branches. A great she-eagle played the part of initiator and psychopomp, saving the hero, Toshtuk, from the world below to bear him to the world above, she alone being able to fly from one world to the other. Twice she swallowed the dying hero, to ‘renew his body’ in her belly and regurgitate him alive. 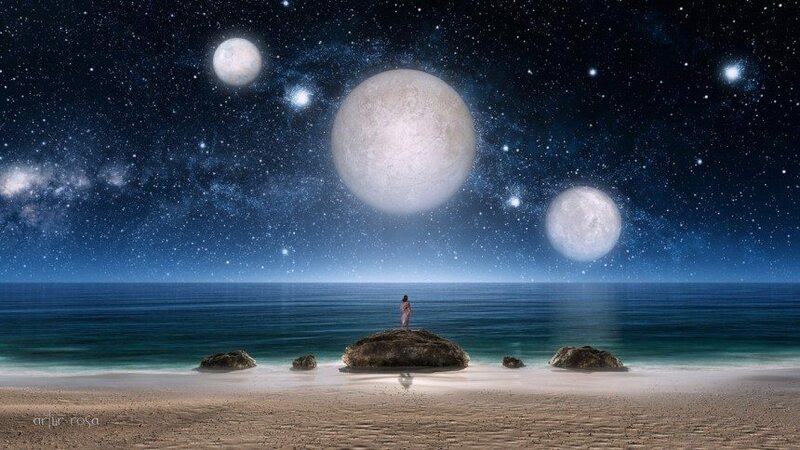 Such powerful images of initiation display the force of regeneration through absorption. In an apocryphal Welsh tale, parallelled by the Irish story of Tuan mac Cairill and a passage in the tale of Culhwch and Olwen, the eagle is one of the ‘ancient things’. The eagle was one of those primal initiatory creatures, like the thrush, the owl, the stag and the salmon. The only other occurrence of eagles in Celtic mythology is when Llew is wounded by the lover of his adulterous wife, Blodeuwedd, and changed into an eagle; however, they appear frequently on Gaulish coins. In Ireland the falcon would seem to have taken the eagle’s place. Uno Harva records a Siberian myth which associates the archetypal father-figure with the figures of initiator and conductor of dead souls, by giving the eagle the role of culture-hero and father of shamanism. 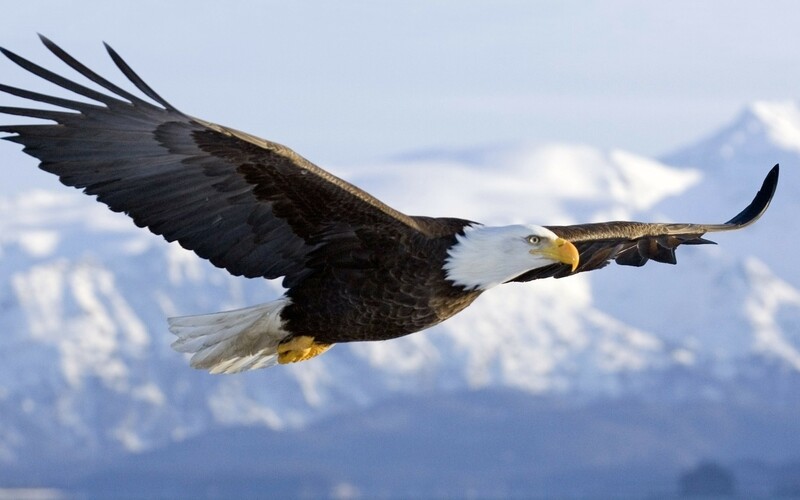 The Almighty sent an eagle to help mankind when it was tormented by evil spirits which brought disease and death. Mankind could not understand what the eagle was saying. 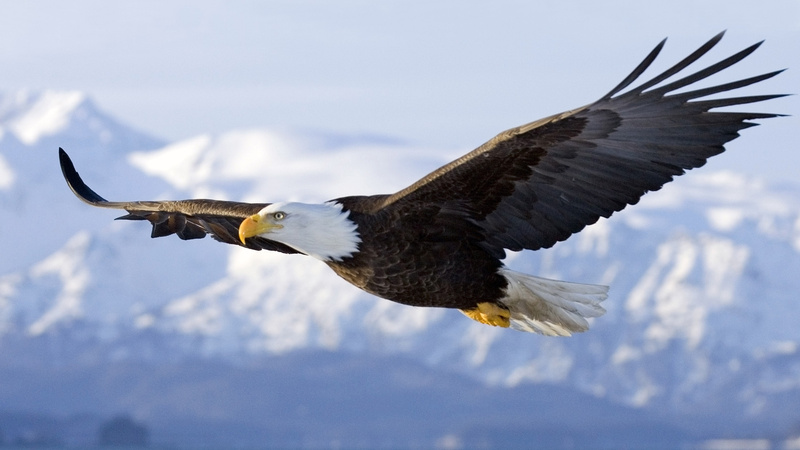 God therefore commanded the eagle to give mankind the gift of shamanism. The eagle flew down once more and made a woman pregnant. She gave birth to a child who became the first shaman. Western tradition, too, endows the eagle with extraordinary powers which remove it from earthly constraints. 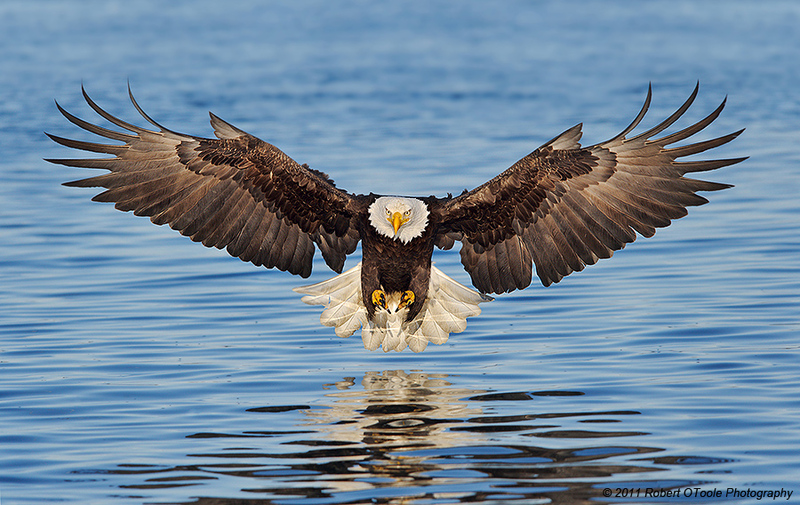 Thus, although mortal, eagles possess the power of regaining their youth by exposing themselves to the Sun and, when their plumage catches fire, diving into a pool of clear water. This may be compared with the rites of initiation and the practices of alchemy, which include passing through fire and water. Its keen eyesight makes the eagle a seer as well as a psychopomp. Even in the heyday of Christianity eagles were believed to carry the souls of the dead upon their wings and return them to God. Their downward stoop symbolized the downpouring of light upon the Earth. 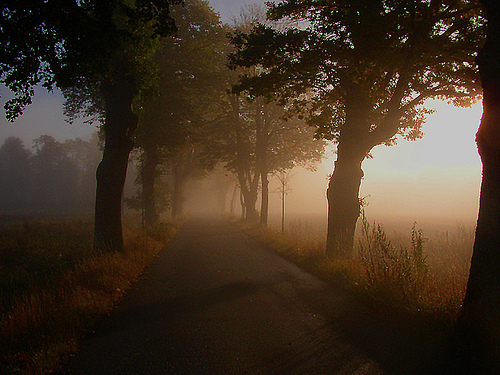 It was an easy step from clairvoyance to augury and divination. Augury in Classical Mediterranean civilizations was the art of interpreting the will of the gods in the flight of eagles. ‘Like the Germano-Celtic raven, the Roman eagle was essentially a messenger of the will of heaven’. In Persian tradition the eagle was a bird of augury. By the period of the Medes and Persians it had come to symbolize victory. According to Xenophon (Cyropaedia 2: 4), when the armies of Cyrus (560-529 вс) came to the aid of Cyaxares, King of Media, in his war with the Assyrians, an eagle flew over the Persian troops and this was taken as a favourable omen. Even Aeschylus (Persae 205ff.) describes how the Greek defeat of the Persians was predicted to Atossa in a dream of an eagle chasing a falcon. Herodotus (3: 76) recounts that just as Darius and the seven Persian nobles were hesitating as to whether to march on the palace of the usurper, Gaumata, they saw seven pairs of falcons chasing two pairs of vultures and tearing the feathers from them. This they took as an omen favourable to the success of their enterprise and they set out to attack the palace. The royal standard of the Persian Achaemenidae depicted an eagle with golden wings standing on a spear-point (Cyropaedia 7: 1), which was intended to signify the victorious and warlike power of the Persians. In his Shah-Name, Firdausi, too, describes the standard of ancient Persia as bearing an eagle. In the Avesta (Zamyad-yasht: yasht 19 § 34-8) varana is symbolized as an eagle or a falcon. When the legendary king of Persia, Jamshid (Yama) - according to the Avesta, the first King of Kings, although Firdausi calls him third - told a lie, the varana dwelling in him left his body in the visible shape of a falcon (varaghna). The king immediately perceived that he had lost all his miraculous powers. He was defeated by his enemies and lost his throne. The symbolism of the eagle was unaffected by the rise of Islam: in many a tale one magician proves his superiority over another by changing himself into an eagle. The old druggists attributed supernatural powers to this bird and prescribed a draught of eagle’s blood to induce virility and courage and claimed that eagle’s droppings mixed with a type of alcoholic drink known as slid would cure barrenness in women. Within living memory, the nomadic Turkish Yiiruk set the eagle midway between the fish and the sheep as representing the three ages of man - youth, maturity and old age. In dreams and Eastern divination eagles symbolized powerful kings, while kings presaged misfortune. The symbolic quality is preserved in folklore. In ‘The Secrets of Hamza’, King Anushiravan (Chosroes I) dreamed that he saw a flock of ravens flying towards him from the Khyber. The leading bird snatched off his crown. At the same instant three royal eagles which had flown from Mecca fell upon the raven, took the crown away and returned it to Chosroes. His vizier, Btizarjomehr, interpreted the dream as foretelling that one of the king’s enemies would be defeated by the Emir Hamza, his squire ’Amr, and Moqbel, his archer. The title of royal eagle is often used to designate these three, who are also called saheb-qaran, ‘Lords of the Age’, their victories over the infidel earning them the right to be compared with royal eagles. This symbol was not unknown to the Ancient Mexicans. Excellent examples are provided by the Codex Nuttal, where Beyer maintains it embodies a vegetation-god, since it is in fact accompanied by depictions of plants and shells. It is well known that in the ancient civilizations of Asia Minor, the two-headed eagle symbolized supreme power. In the shamanistic traditions of central Asia, a two-headed eagle is often shown perched on the top of the column of the world, set in the centre of a village. The Dolgan call it the ‘master-bird’ and believe that the column on which it is set will ‘never fall’, being a copy of the very column set before the home of the Supreme Deity and called that ‘which never grows old or falls’. According to Frazer, this symbol was originally Hittite, revived by the Seljuk Turks in the Middle Ages, borrowed from them by Europeans at the time of the Crusades and, through this route, incorporated into the arms of Imperial Austria and Russia. The duplication of head is less an expression of the dual nature or the many separate portions of the empire, than a reinforcement, by doubling it, of the symbolism of the eagle itself - a more than royal authority of the truly imperial king of kings. Similarly creatures so often depicted in art either back-to-back or face-to-face carry their symbolic qualities to the highest pitch.